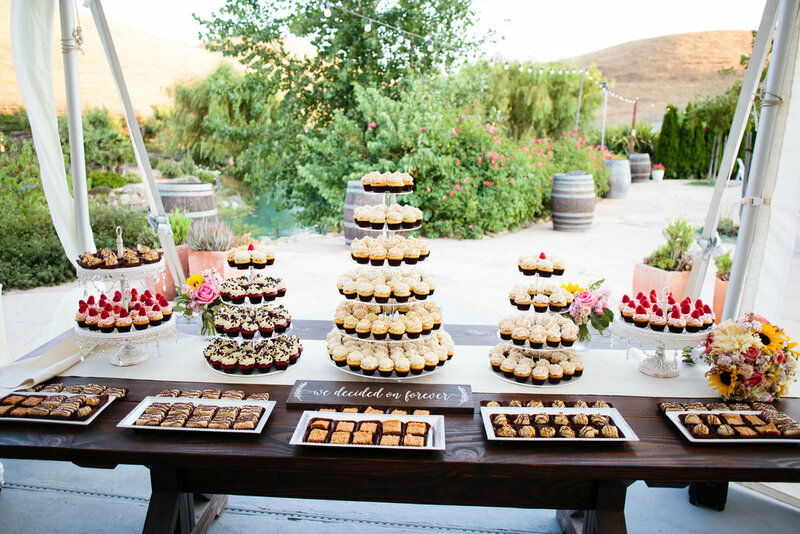 Another breathtaking wedding held at Nella Terra Cellars in Sunol, California. 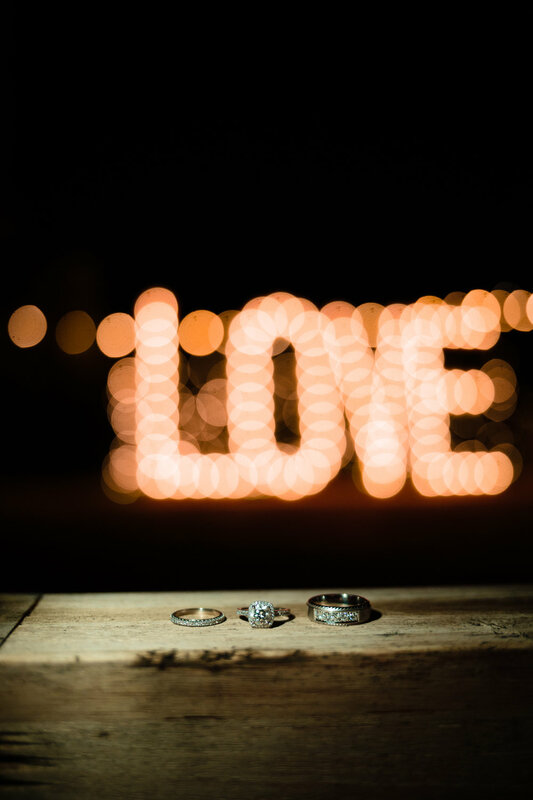 This venue is perfect because you have the option to have your wedding indoors, outdoors, or half indoors half outdoors! 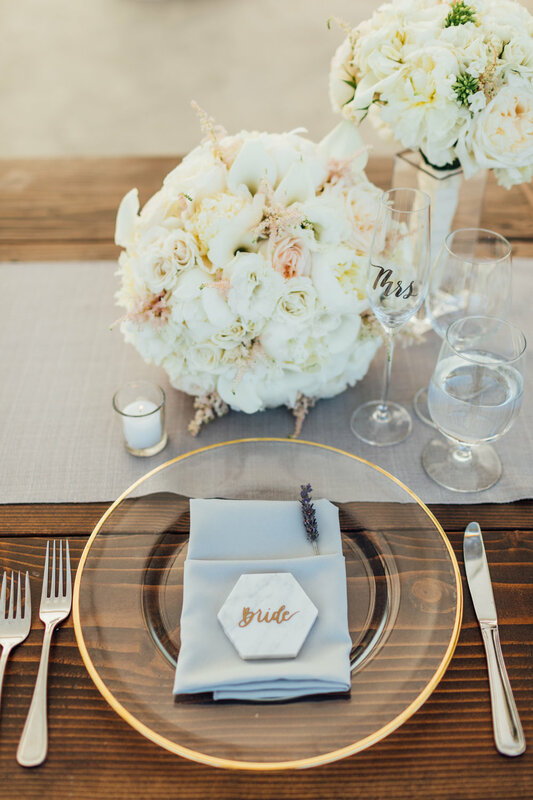 Our stunning bride envisioned a warm, romantic wedding, while still being simple and tasteful. For the bride, we arranged a formal clean and controlled bouquet using peonies, calla lilies, garden roses, and hydrangeas. These flowers were mostly white, with added pops of blush. The bridesmaid bouquets were smaller version of the bride’s bouquets, adding in touches of phlox. 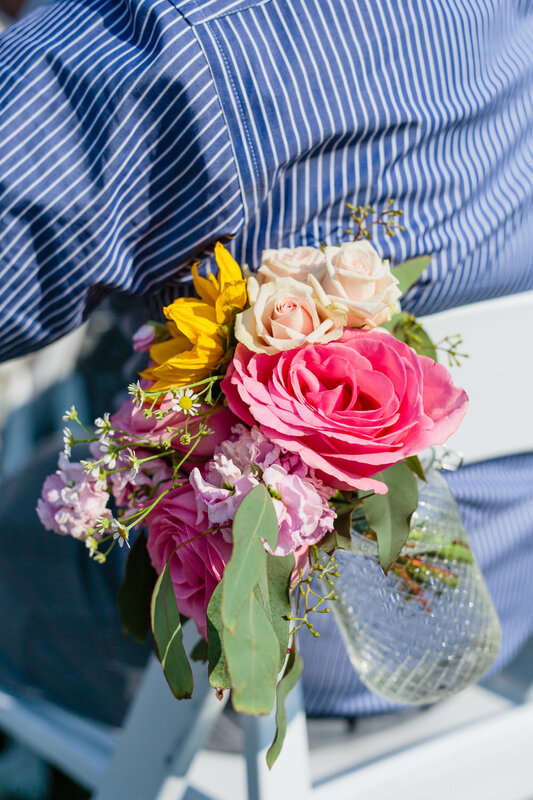 The groom’ boutonniere was a dainty off-white tea rose with hints of rucus and eucalyptus. At the head table, we arranged four large arrangements that sat on tall glass cylinders. These were created using a combination of off-whites, blush and dusty lavender flowers with hints dark green, adding a more garden feeling. The round tables had a combination of different centerpieces. 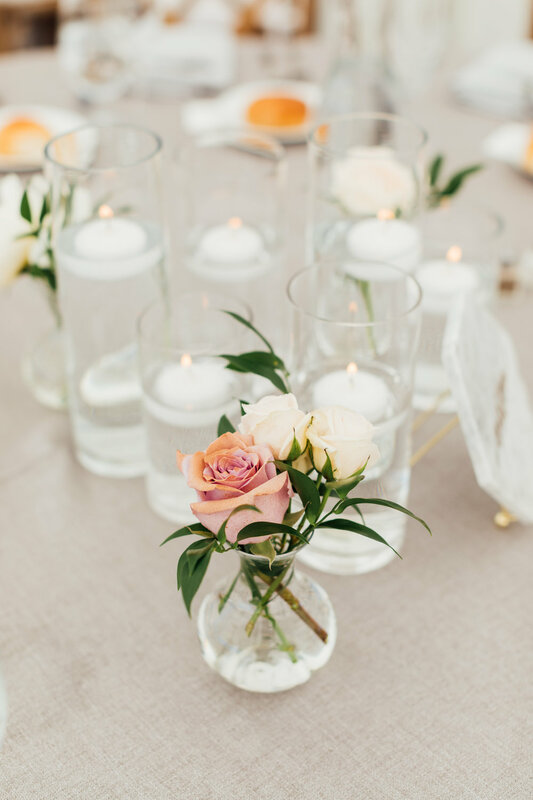 Some had small bud vases of blush and off-white roses, surrounded by romantic floating candles. Other tables had small low lush arrangements using the same florals used in the large head table arrangements. Lastly, we topped the homemade wedding cake with lavender, blush, and off-white roses and hints of greenery. 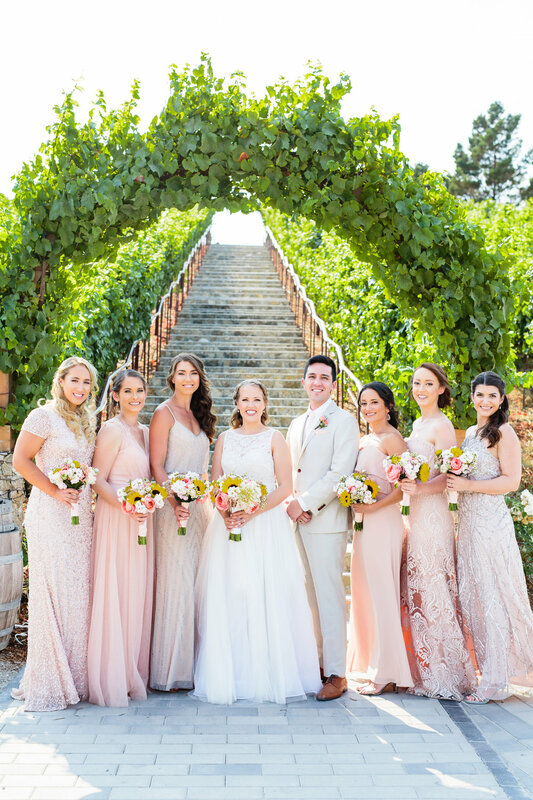 A beautiful summer wedding at Nella Terra Cellars - an amazing venue located in Sunol, California. 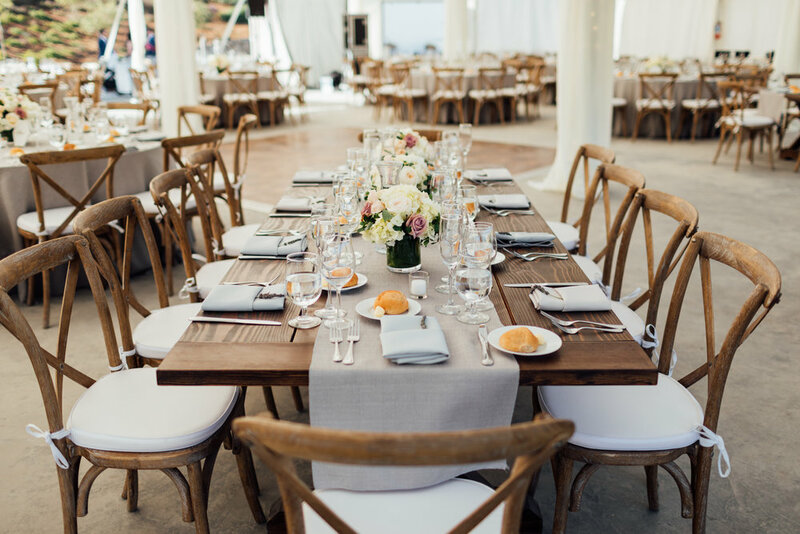 Our bride pictured a soft and relaxed wedding, with pops of color, while still remaining elegant. On top of the welcome sign, we created an arrangement of roses, sunflowers, and lots of greenery. The bridal bouquet was arranged with antique garden rose, tiny daisies, and small sunflowers, finished off with a wrap in white satin and chiffon ribbon. On the first, middle, and last row of pews, we placed hanging mason jars filled with bright flowers, similar to the bouquet. On the corners of the altar, we created two whimsical corner pieces to give a nice pop of color. These arrangements were made with sunflowers, pink roses, daisies, and lots of greenery. Each of the tables at the reception had a small centerpiece filled with pink roses and bright yellow sunflowers. The unique fun colors that our bride chose made this an amazing wedding to work for!